bitsdrive automatically keeps your precious files safe and gives you access to them anywhere. Your hard drive is a mechanical device and it’s a matter of “when” it fails, not “if” it fails. Hard drives can fail without warning and if you don’t have a backup, all your precious photos and data will be lost. bitsdrive Cloud Backup is the simplest online backup solution – it keeps a copy of your files safely online in the Cloud, so that you can retrieve them instantly at any time if they are lost or damaged. It’s simple, easy-to-install, and automatically secures all your data without you having to think about it. bitsdrive runs in the background on your computer, silently backing up your files while you work. You don't need any technical knowledge and once you've set it up, you can just forget about it. The Cloud is a remote facility which receives all your data each time your computer connects to the internet. An exact copy of all your data is safely stored to give you total peace of mind. There are so many ways in which data can be lost and the inconvenience can be devastating. 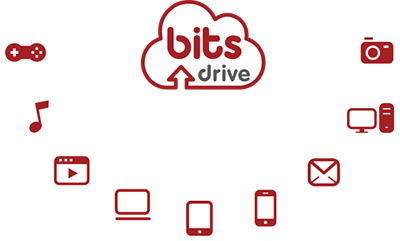 With bitsdrive all your stored data can be retrieved and downloaded again simply with a few clicks. You would never have to worry about losing key files again. If you’ve ever worried about losing your precious data – photos, music and documents – bitsdrive has the solution. Imagine your computer becomes infected with a virus, has crashed, been damaged, is lost, even stolen, or you accidentally deleted a file from your computer. With bitsdrive Cloud Backup you can restore your files from a previous date within the last 30 days and restore everything as it was with just one click. There will never be any worries again about viruses or damaged computers losing your data. Every time you connect to the internet, any new or altered versions of any of your data, documents, photos etc., will be recorded as new versions on the Cloud. These are stored on a 30 day rolling program. With just one click you can revisit and download any of these previous versions within the last 30 days directly from the Cloud even if they are no longer on your computer. Access your files from anywhere: Log in to your bitsdrive account to view all of your files online from any web browser, on both Mac and Windows computers, mobile or tablet (via free apps for iOS, Windows 8 and Android). Browse them just like you would on your PC. You can view your photos and documents, and even listen to your music and watch your movies, wherever you are. At bitsdrive we are serious about security. Your online files are encrypted with military grade AES-256 encryption to keep them safe. 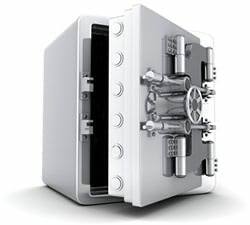 We use the same high level encryption that banks use. All the servers are located in the UK in state of the art specialised data centres so your data is always close at hand. Access through our webpages is SSL certified for security and protection. All connections are encrypted. 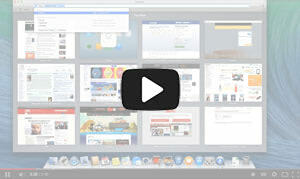 Our software will deliver exactly the same service on your Mac and Windows computers. Requires Windows XP or later, and Mac OS X 10.6 (Snow Leopard) or later. Mirror your data from all your computers to the Cloud automatically. Add additional computers at any time for half the price. See the same files on all your computers and work on any file, no matter where you are. Store whatever you want on your Storage drive. Once safely stored to the Cloud, files don't need to be on your computers. We keep your deleted files for up to 30 days. Restore files or entire folders from the Cloud at any time with one click. Need to revert to a change you made? File overwritten? No problem - we keep up to 30 versions of any file in the Cloud. Free apps for iOS (iPad & iPhone), Windows 8 and Android let you view your photos, music, movies and documents from any device! Log in to your bitsdrive account to view all of your files online from any web browser. Browse them just like you would on your PC. and get bitsdrive Cloud Backup for Half Price! We'll phone you back at your convenience. Not sure about something? Drop us an email. And save on your subscription with our discount code. Q. Do you provide a Free Trial period? A. For bitsdrive Cloud Backup use the Discount Code: FREEMONTH and you will get 30 days free, cancel before the end of the 30 days and you won’t be charged. A. Cancelling your subscription is easy. First, ensure that you have downloaded your data from the Cloud back to your computer as once your account is terminated, nothing will be accessible. If you have an existing subscription or if you are still in your introductory free period, you need to notify us and go to your chosen method of payment (either PayPal or your bank standing order) and cancel the payments. Q. How long does bitsdrive keep my files? A. bitsdrive Cloud Backup holds files on a 30 day rolling program. Please note: bitsdrive Cloud Backup is not to be used for archiving (unlike the bitsdrive Storage). You must at all times hold an original copy of the data. If you delete a file from your computer, it will be deleted from BitDrive Cloud Backup but after 30 days. Once the initial Backup is complete, bitsdrive will run scheduled scans of your files at regular intervals depending on your settings. Any files that have changed will be uploaded and saved as a new version within your bitsdrive Backup online account. Our preferred method of payments is by Standing Orders, but we accept all major credit and debit cards over the phone or through our PayPal account. Q. Where can I see the files I’ve backed up? The files that you’ve backed up are all available via your online Cloud account. Login with your bitsdrive Cloud Backup account and you will be able to access your files. You can download or access files or folders from the Cloud on any WiFi enabled device. Q. Where are my files stored? A. bitsdrive data is stored in state-of-the-art data centres that use cutting edge, military grade AES-256 encryption to make sure that your data safe. All data centres are based in the UK. Q. Is bitsdrive Cloud Backup really “unlimited”? A. Yes, it is totally unlimited. Backup as many Terabytes of data as you like, no limit. There is no "fair usage policy"
Q. Which files shouldn’t be backed up? A. 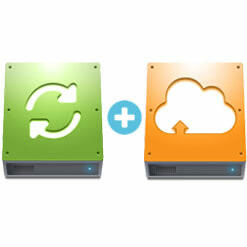 The bitsdrive Cloud Backup gives you the option to choose any folder you wish to backup on the Cloud. All of your important office documents, images, music, videos etc. can be kept safe in their original folder on the Cloud. However, storing every file from your computer to the Cloud is not a good idea. This is because many of the files on your computer are specific to that installation, and will not work if they are placed on another machine. Adding unnecessary files to your backup set will also increase the time it takes to upload your files to the Cloud and in some cases will stop the files uploading that you wish to upload. Applications, Apps, Program Files, Temporary Files, Windows and Mac OS files should not backup to the Cloud. If you require specific program files to be backed up, such as e-mails or Photoshop files that you have created then please contact us for assistance. Also if your computer has more than one user account, a single user can’t backup other user accounts (because of profile permissions); doing so will cause problems with your operating system. To backup other users, each user will need to configure BitsDrive on their user profile by downloading the software. Q. How to stop Backup of a folder? A. 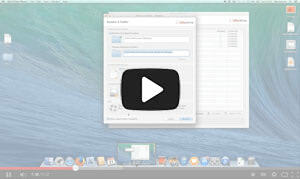 Please watch the video tutorial above to learn how to stop/add Backup of a folder. BitsDrive will now mark the folder and its content for deletion in your web portal. Q. How to restore a previous version of a backed up file? A. Please watch the video tutorial above to learn how to restore a previous version of a backed up file. When a file is edited or amended, bitsdrive will upload the full file and save the file as another version. bitsdrive keeps up to 30 versions of a file, and you can restore any of these versions at any time from your online account. Q. How to restore a deleted file? A. 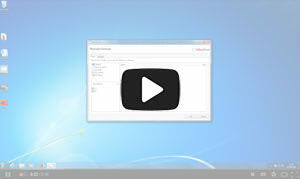 Please watch the video tutorial above to learn how to restore a deleted file. Q. Will my data be visible across all licences? A. Yes, your data will be visible across all licences. If you wish your data to be private then you will have to buy licences individually each with a separate account and separate username and password. E.g. if you are a family with five people, you can buy five licences under one account (easier to see all computers’ data and cheaper) but then each family member will have access to all data on other computers. The other way is to buy five accounts with a single licence each, this way each family member will have access only to his/her data. bitsdrive Cloud Backup mirrors your computer data, so the files you have in your computer will be replicated in the Cloud. If you delete files from your computer that have been backed up, these will also be removed from bitsdrive Cloud Backup. However files can be retrieved from the last 30 days and restored to your computer. You must at all times run the bitsdrive software on any computer that is being backed up and you must ensure this computer connects to the Internet at least once every 30 days. Any data from a computer which has not been connected to the internet within the last 30 days will not be backed-up. bitsdrive will remove backups for computers that have not connected to the service for 30 days. Modifications: We may revise these Terms from time to time and the most current version will always be posted on our website. By continuing to access or use the Services after revisions become effective, you agree to be bound by the revised Terms. If you do not agree to the new terms, please stop using the Services. Account Security: You are responsible for safeguarding the password that you use to access the Services. You are responsible for any activity on your account, whether or not you authorized that activity. You should immediately notify us of any unauthorized use of your account. Files and other content in the Services may be protected by intellectual property rights of others. Please do not copy, upload, download, or share files unless you have the right to do so. You, and not bitsdrive, will be fully responsible and liable for what you copy, share, upload, download or otherwise use while using the Services. You must not upload spyware or any other malicious software or obscene or offensive material to the Service. You, and not bitsdrive, are responsible for maintaining and protecting all of your files. bitsdrive will not be liable for any loss or corruption of your files, or for any costs or expenses associated with backing up or restoring any of your files. The Services and Software are provided “AS IS”. Termination: you can stop using our Services any time by notifying us in writing. We reserve the right to terminate the Services at any time, with or without cause, and with or without notice. For example, we may terminate your use if you are not complying with these Terms, or use the Services in any way that would cause us legal liability or disrupt others’ use of the Services. All fees for our Services are due in advance and your subscription will automatically renew on the expiry of the Fixed Period. Fees paid to us are non-refundable except for the money back guarantee period. If payment is not received by the renewal date for whatever reason, we reserve the right to stop services immediately without notice. If you hold multiple bitsdrive accounts with us, and some accounts are not paid, we may terminate all the accounts until payment for all bitsdrive accounts are paid in full. If an account needs to be re-activated, then, any money due, plus an admin fee of £25 per account must be paid upfront. Money Back Guarantee: To receive a refund under the guarantee you must inform us before the end of the advertised money back guarantee period. If you do not claim a refund of fees during this period then no refund will be due. Discounts: bitsdrive will only accept one discount with any single purchase, BITS will take the highest applicable discount when faced with multiple options. Limitation of Liability: The Services and Software are provided “AS IS”, under no circumstances shall bitsdrive be liable, either in contract, tort or otherwise, to the customer, its employees, agents, or any third party, for any damages, including without limitation, any direct, indirect, special or consequential damages, expenses, costs, profits, lost savings or earnings, interruption to business activity, lost or corrupted data, or other liability arising out of, or related to the Services provided by bitsdrive, or out of the installation, de-installation, use of, or inability to use our Services or Software. The customer will, upon demand, indemnify bitsdrive in respect of any loss or damage arising from the provision of the Services. Our Cloud Backup service is rated 5 out of 5 from 1 reviews.